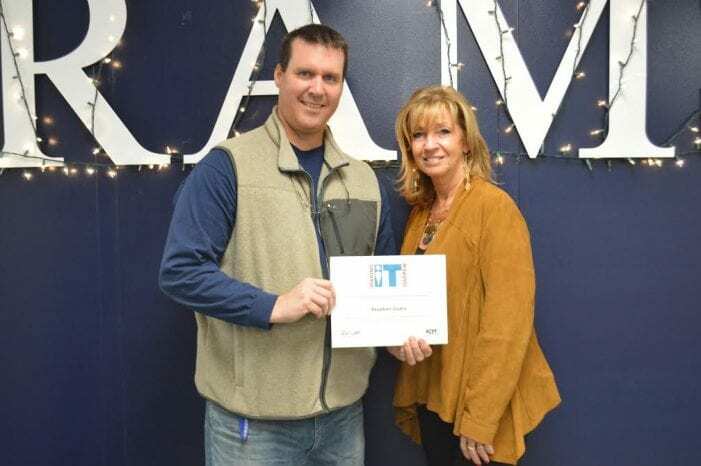 Randolph High School Librarian Stephen Cullis has been selected as the New Jersey Association of Librarian’s recipient of the 2018 ISTE Making IT Happen Award. Making IT Happen is an internationally recognized awards program sponsored by ISTE for educators and leaders in the field of educational technology integration in K–12 schools. The program identifies and rewards educational technology leaders around the world for their commitment and innovation. “This is absolutely amazing and so very well earned and deserved,” Randolph High School Principal Debbie Iosso said. Mr. Cullis received the award at the organization’s conference last month.